It’s a great idea for us all to become a bit more self sufficient. It’s better for the environment and an overall more satisfying way of living. Today, we look at some ways that this can be achieved. It seems more and more we are relying on others to help us with our problems. Nowadays you can get anyone to do anything for you. You don’t want to cook dinner? Simply grab your phone and get a meal delivered to your home. Your car breaks down? Just dial a number and your car can be towed and fixed in no time. You can’t read? Simply download an audio book and get someone to read it to you. No matter what breaks down around the house, there is always someone to call to fix it for you. With so much help out there, it is no wonder that the average person simply does not know how to do things for themselves. There is, however, a new trend people are following these days; people want to become more self-sufficient. But how can they do that? How can you live a self-sufficient life in a self-sufficient home? We are going to dive into this topic today and provide you with some tips. In order to learn how to be self-sufficient, we first have to truly discover what it means. To be self-sufficient means that you have the ability to provide anything you need around your home without having anyone from the outside doing it for you. That means being able to provide all the things that the average person takes for granted. Being self-sufficient relies purely on your own knowledge and your own skills at doing things. In order to become self-sufficient you need patience, time, and motivation. You need to want to discover the answers and be better at doing things on your own. Now, you do need to know that being self-sufficient is not for everybody. However, there are little things to try to become more self-sufficient every day, as you do not want to rely on someone for everything. One of the main reasons people are becoming self-sufficient is that they want to be prepared in case a catastrophe happens. Imagine right now if all power was lost on Earth and you could not use the oven or microwave ever again. Would you know how to make a fire? Could you cook your own food? How would you get water? While it is something many people do not want to think about, it is something that you should know how to do in case anything were to happen. The key to being a self-sufficient person in a self-sufficient house is to take small steps at first. This is a crucial part about going full self-sufficient, because if you just dive in cold turkey, it is going to be almost impossible for you to adjust. A self-sufficient home does not just happen overnight; it takes years to perfect and get used to. We are going to tell you ways and steps to take to be more self-sufficient. The first thing that we recommend that you do is start with the one thing we all need every day: food. Do you know how many people rely on others for their food? A large number of people eat out all the time, and now you can even have groceries delivered to your door. In order to be self-sufficient you have to learn to grow your own food. We recommend starting out by just purchasing a couple plants for your garden that will grow vegetables. The only way to know how to make your garden lush and your vegetables grow is to do it yourself. While you may fail at the first few attempts, the more you do it, the better it is going to be. 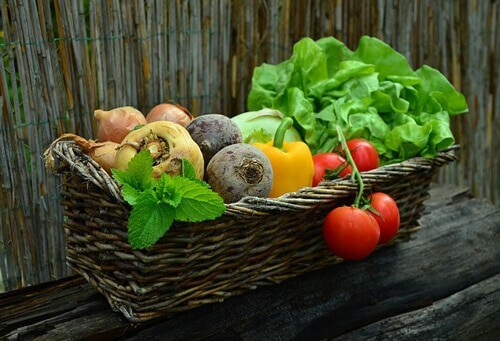 It is also going to promote a much healthier lifestyle; the vegetables you get in the grocery store cannot hold a candle to the veggies you grow in your garden—they will taste fresh and good, and they will be good for you. In order to harvest a good crop you will need a good quality compost. You can make your own organic compost by recycling your household waste using a composting toilet and storing it in a compost bin. Having a self sufficient garden is a really satisfying project that is great for all the family. 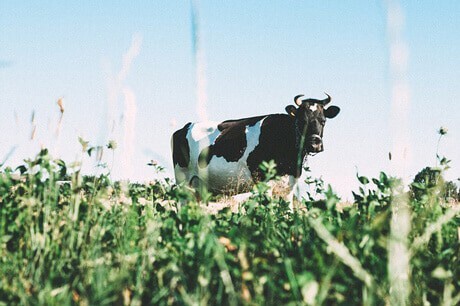 Speaking of food, the trickiest part for many people going self-sufficient is animals; if you are not a vegetarian, and still want to eat meat while being self-sufficient, you are going to have to learn how to hunt. If this is something you are strongly against, then maybe just raising chickens is going to be the best path for you. You can raise them yourself, and even though it is not entirely self-sufficient, you can get the local butcher to kill them for you. You can easily free-range chickens, and we assure you they will taste better than anything at the store. Now since we have talked about food, we must talk about the home. Everything is also done for us in a home and if you want to be self-sufficient, the first thing to be done is to try and slowly live off the grid. You want to find a renewable power source that is not tied to anyone and is using the environment for power. This can be the wind or the sun as a source of energy. There are many ways online to search alternative energy sources to buy or make yourself. Here at Tiny House, Huge Ideas we have a couple of great guides to solar panels and wind turbines. If you are just starting out at being a self-sufficient person, we recommend that you first and foremost learn how to make a fire. Fire and is essential for staying warm, for cooking, and to also keep your water drinkable. If you can start a fire you are well on your way. Becoming self-sufficient is a journey; remember to take small steps if you are just starting out. Check back soon for more articles about green living. Follow us on Facebook to stay up to date with all the latest news here at Tiny House, Huge Ideas. Just click the icon in the top right corner. We recommend our article on garden gifts next.